Same Great kiln with a small window and a bead door in the door! 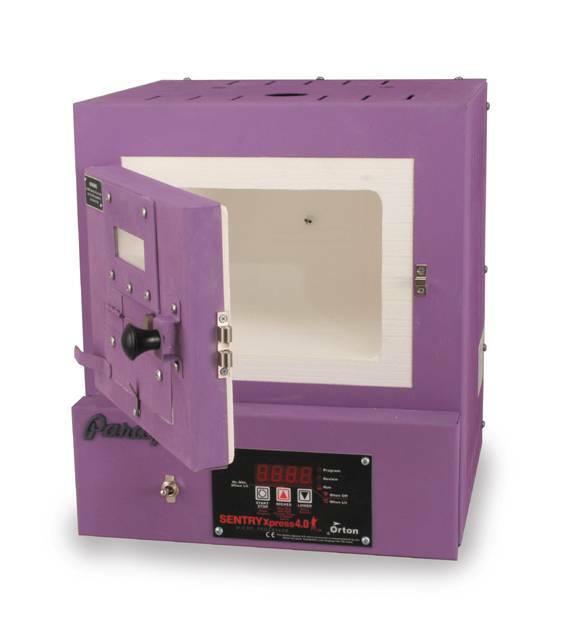 The SC-2 with bead door and window, for a digital kiln, is surprisingly affordable. It fires automatically at the rate and temperature you enter. A large, brightly lit display prompts for firing rate, temperature and hold time. Use the hold feature to automatically soak any type of clay silver to its recommended time. The 6 1/2” wide bead door includes a brushed stainless steel mandrel holder. The 1” x 3” window is beveled for a wide view of the kiln interior. The high-tech ceramic fiber firing chamber is wrapped in a steel inner case. The outer steel case remains cool due to the layer of air between it and the inner case. In addition, the case is slotted for air circulation. Electrical components, located in the base, stay cool even at extended hold times. The fast-firing element is embedded in the firing chamber shell. The SC-2 heats from the sides and back. Each SC-2 includes a 1/4” thick ceramic fiber shelf.